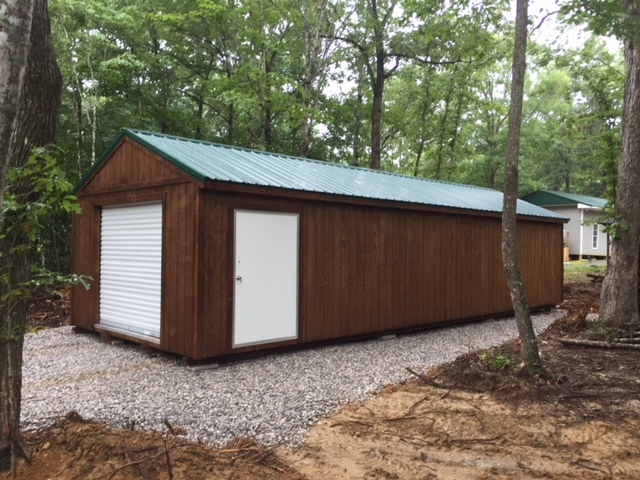 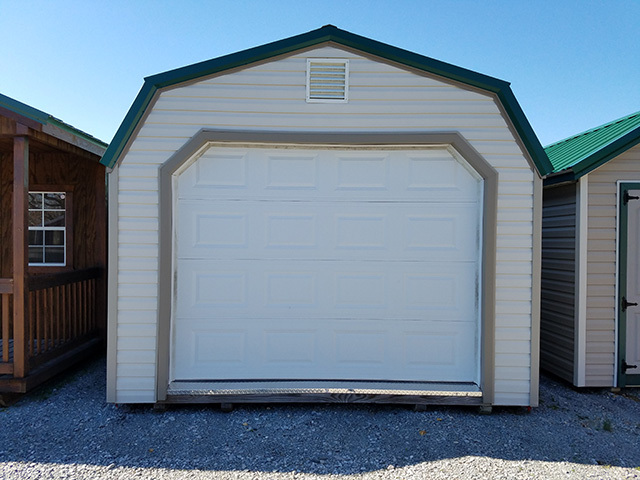 Our portable garages range in sizes from 12x20 up to 14x40 and come in wood or metal. 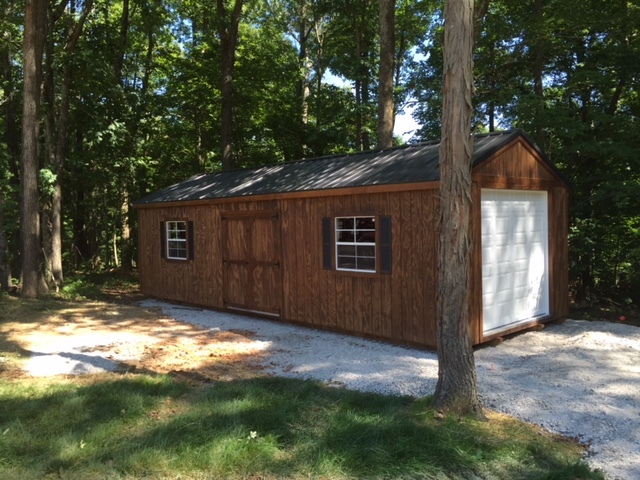 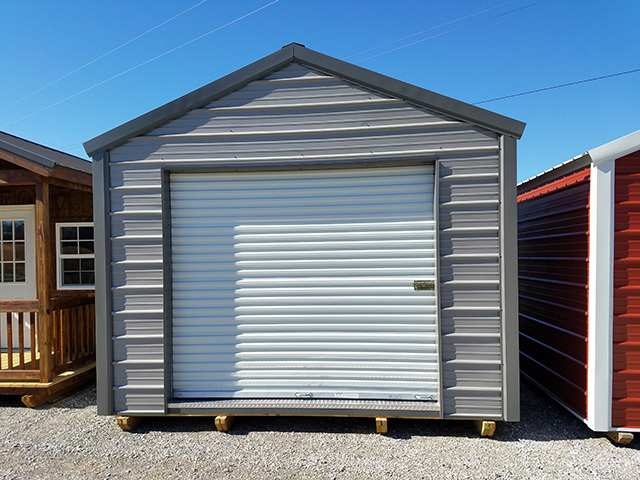 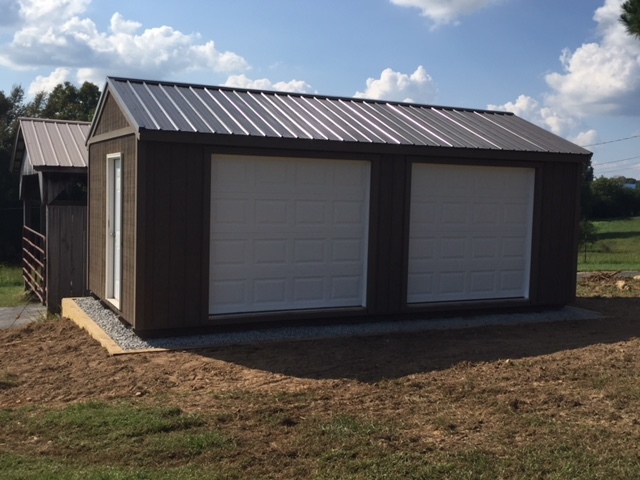 Each portable garage comes with a 12 month warranty and metal or shingle roof. 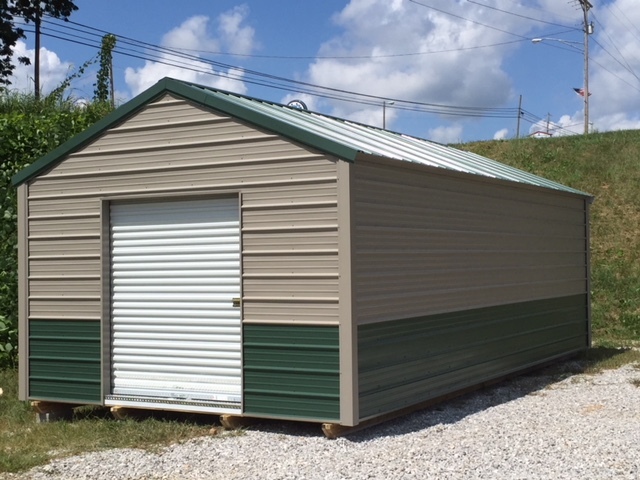 Ask us about our many color and upgrade options.